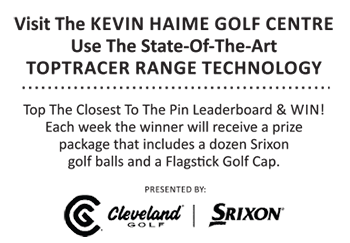 This is the third in a series of instruction videos with 2000 Canadian PGA National Teacher of the Year Kevin Haime of the Kevin Haime Golf Centre in Kanata, Ontario. The print version of this golf instruction feature appears in the June 2011 issue of Flagstick Golf Magazine and originally appeared in the magazine in 2008. As part of our 15th anniversary celebrations we are re-presenting this feature with a new web video to match. Enjoy and please visit www.kevinhaime.com for more about Kevin and his golf centre.